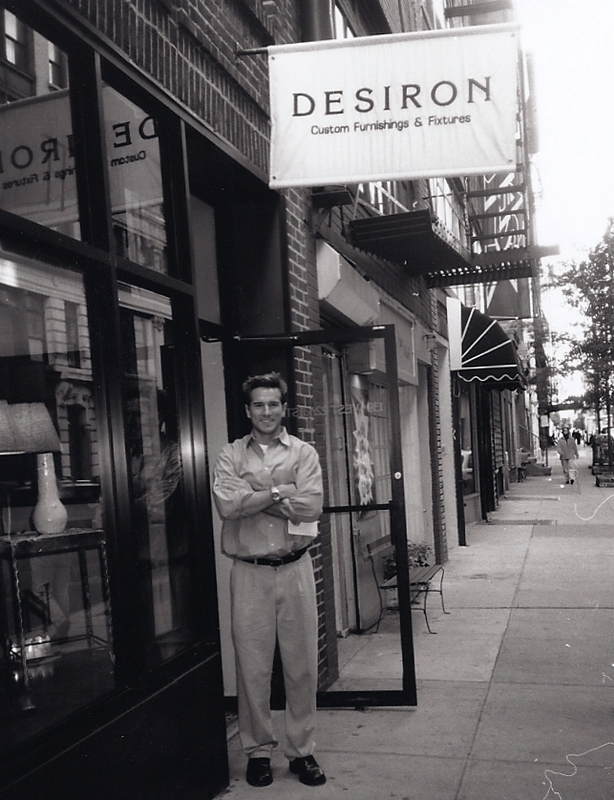 Frank Carfaro is the Founder & Creative Director of DESIRON. A 4th generation ironsmith, Frank learned the family craft from his grandfather, whose family hailed from Turin, Italy. From a young age, Frank was surrounded by craftsmen who inspired and encouraged his interest in design and instilled in him a strong work ethic. When not designing furniture, conceptualizing interiors, or scheming new and innovative collaborations, Frank can be found pushing his physical limits by competing in extreme/challenging/crazy events including the Ironman triathlon, the 100-mile Leadville race, and over 50 marathons. A graduate of Rutgers University in his native New Jersey, Frank pursued post-graduate schooling in architecture at L’Université of Grenoble in France before returning to the States to ultimately found Desiron in 1997. He currently lives in the West Village, with his dog J, in an apartment deemed worthy of publishing in the New York Times.